These high quality Virginia State seal Wall & Podium Plaques are made of kiln dried mahogany wood. They are hand carved and hand painted and are available in several sizes. 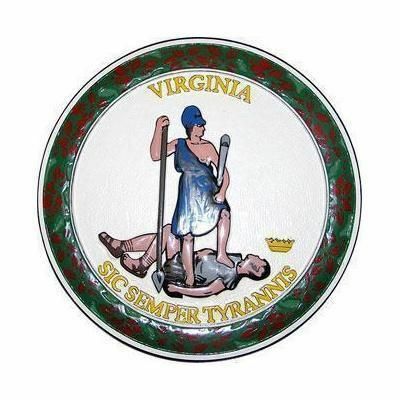 The state's motto "Sic Semper Tyrannis" ("Thus Always to Tyrants") appears at the lower edge. The seal was approved at Virginia's 1776 Constitutional Convention.